Professor Jeff Hong received his PhD in Industrial Engineering and Management Sciences from Northwestern University in 2004, MSc in Applied Mathematics from the University of Cincinnati in 2001, and BEng in Automative Engineering and BEng in Industrial Engineering from Tsinghua University in 1999. Prior to joining the City University of Hong Kong, he was Professor, Associate Director of Logistics and Supply Chain Management Institute, and Director of Financial Engineering Laboratory in Department of Industrial Engineering and Logistics Management at the Hong Kong University of Science and Technology. 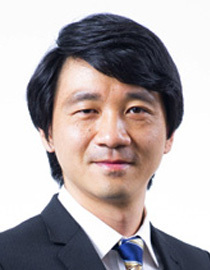 Professor Hong’s research interests include management sciences, operations research, financial engineering and risk management, and business analytics. He published extensively on leading academic journals such as Operations Researchand Management Science. He was the winner of the 2009 Operations Best Paper Award from the Institute of Industrial Engineers, the 2012 Outstanding Simulation Publication Award from the INFORMS Simulation Society, and the inaugural Outstanding Research Award from the Operational Research Society of China in 2014. He is currently an Associate Editor of Operations Research, Naval Research Logistics and ACM Transactions on Modeling and Computer Simulation.